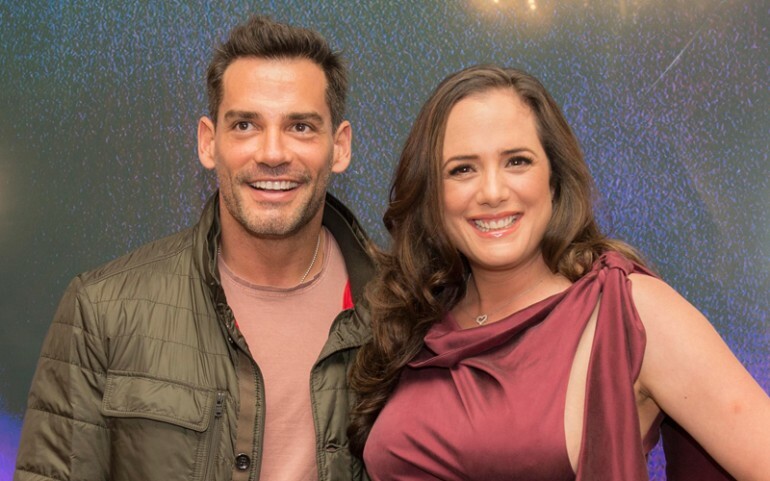 Televisa made it official today by announced that the lead actors of their next production are Betty Monroe and Cristian De La Fuente. "Sueño De Amor" is the tentative title of the comedic telenovela from the production behind "Una Familia Con Suerte," "Porque El Amor Manda" and "Mi Corazón Es Tuyo." Producer Juan Osorio had his leading lady under wraps and kept mom for weeks as he penned out the deal. Monroe has been a telenovela actress but on the Azteca network, Televisa's biggest rival. With the former network slowing down production of original content, actors have been looking for an opportunity elsewhere and this is how Betty now lands her first leading role. The "Sueño De Amor" protagonist had been rumored to be Silvia Navarro, with Osorio saying that she was his first choice. With the aforementioned actress recently giving birth and wanting to explore other range of characters, she sadly declined the offer. As for the male lead, De La Fuente recently completed a guest sting on the Lifetime series "Devious Maids." In this new production he will be playing Ricardo Alegría, a man of action, that works in the U.S. as an Interpol agent, dedicated to combatting crime and protecting society. Ricardo is fun, youthful and generous. He is the father of Selena and Rodrigo, his wife Tracy is a woman that lives for her job. Betty Monroe will be playing Esperanza Guerrero, a single mother of two teenagers, Pedro and Patricia. She is a middle school teacher and always has a positive attitude. She dreams of building her own school to educate kids in poverty. During the presentation today in México City it was also announced that Renata Notni and Santiago Ramundo would be the young leading couple. Notni will be playing Patricia, Esperanza's daughter, and Santiago will be portraying Rodrigo, Ricardo's son. "Sueño De Amor" is scheduled to air in Mexico at the end of February, following the "Antes Muerta Que Lichita" finale and a similar pattern should occur stateside on Univision.